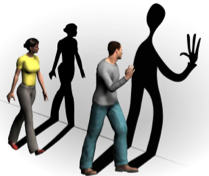 Most of IIIM projects are entirely scientifically motivated, but LivingShadows plays on the border of technology and art. This presentation was held on IIIM Open Day spring 2012 by Gunnar Steinn & Hrafn Thorri. The 2012 IIIM Open Day was held in collaboration with RU’s Center for Analysis and Design of Intelligent Agents (CADIA), which is one of its closest collaborators making for very impressive and interesting presentations. The demo installation is open for anyone to visit and interact with. 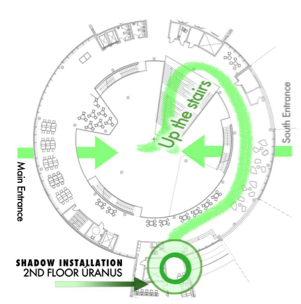 The installation is on the second floor of Reykjavik University’s wing “Uranus”. Floor plans follow below. Make sure to monitor our news For information on how to find Reykjavik University and IIIM, please see our contact page.